If you plan to ramp up your income by joining an Accountable Care Organization (ACO) in 2019, you may want to wait until CMS finalizes its new proposed rule on the Medicare Shared Savings Program (MSSP). Guidance suggests ACOs will have a lot more to balance if the swaps and additions are a go — and following the new rules may prove challenging. 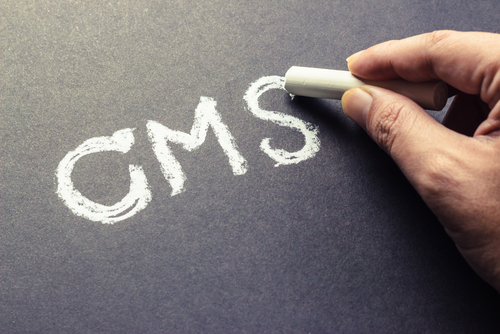 Background: In August, CMS released a revamp of its MSSP called “Pathways to Success,” which tones down one-sided risk models while promoting two-sided ones, putting more onus on the ACO to improve performance and increase risk. The proposed rule was published in the Federal Register on Aug. 17, 2018. Reduce and revise Track options. The proposed rule cuts the number of Tracks to two titled “Basic and Enhanced.” Basic will replace Tracks 1, 1+, and 2 with a gliding system and a “gradual shift to risk,” which “includes five levels [A-E], with a one-sided model available only for the first two years to eligible ACOs,” explains the National Association of ACOs (NAACOS) in a release on the proposal. The Enhanced Track takes over the Track 3 spot and is a two-sided model for ACOs willing to accept greater risk and looking for greater financial reward. Clarify Advanced Alternative Payment Model (APM) qualification. According to the proposed » » rule, only ACOs in the Basic Track’s fifth year, level E, would qualify to participate in an Advanced APM under the Quality Payment Program (QPP). Enhanced Track ACOs automatically qualify for Advanced APMs. Increase accountability. ACOs will have to show improvement and measure it against their local peers. The proposals “update the benchmarking methodology to incorporate regional trends from the start of an ACO’s participation in the MSSP,” notes national law firm Robinson & Cole LLP in analysis in its blog, Health Law Diagnosis. Pay the patients. After a physician explains to the patient that he is part of an ACO and what that means, “CMS proposes to allow certain ACOs under performance-based risk to provide incentive payments to patients for taking steps to achieve good health,” states the fact sheet. Promote and integrate other new Medicare policies. As part of its quality focus, CMS plans to include MyHealthEData Initiative principles with the requirement of 2015 Edition Certified EHR Technology (CEHRT), mentions the MSSP proposal. Meaningful Measures and Patients Over Paperwork get a nod as the number of quality measures to report is slimmed down from 31 to 24, reducing providers’ administrative burdens. Cost: “CMS estimates the proposed rule will result in $2.24 billion in federal savings over the next ten years,” advise attorneys Christine Clements, Vinay Bhupathy, and Patrick Callaghan of national law firm Sheppard, Mullin, Richter & Hampton LLP in online analysis on the Sheppard Mullin Healthcare Law Blog. Caution: But Clements, Bhupathy, and Callaghan warn that the savings may be shortsighted as many ACOs won’t be able to meet the new standards. “CMS expressed a lack of concern about ACOs in one-sided risk models exiting the program because those ACOs have led to program losses overall” despite advice from a study done by the NAACOS on the issue, the attorneys note. “The findings of the NAACOS survey suggest CMS may be underestimating the magnitude of the exodus that will occur should the proposed rule be finalized,” they write. Other organizations have delivered similar statements to those of NAACOS that refer to the upfront costs and other infrastructure factors that must be addressed if the changes are to be successful. Tip: Due to the late summer proposal, CMS plans to extend the sign-up period for current ACOs whose contracts come due on Dec. 31, 2018. “CMS proposes a 6-month extension for current ACOs whose agreements expire at the end of 2018, along with a special one-time July 1, 2019 start date that will have a spring 2019 application period for the new participation options,” informs the release on the MSSP changes. Resources: For a more in-depth read of the MSSP proposed rule in the Federal Register, visit www.federalregister.gov/documents/2018/08/17/2018-17101/medicare-program-medicare-shared-savings-program-accountable-care-organizations-pathways-to-success. Review the CMS fact sheet on the MSSP proposed rule “Pathways to Success” at www.cms.gov/newsroom/fact-sheets/proposed-pathways-success-medicare-shared-savings-program.